As I have written many times elsewhere, the one uniform characteristic of the current pontificate is the purge. It is clear now that Jorge Bergoglio was elected by a group of 1960s progressives to bring about the final removal of the last elements within Catholicism that have resisted the Vatican II revolution. After 50 years of ambiguity, of the two implacably opposed “paradigms” living in an uneasy truce within the same institution, those few recalcitrants left who refused to accept the new liturgical forms, new theological “formulations,” the new disciplines are being forced either to conform or leave. In all Catholic institutions the so-called “conservative” middle ground, the safe and reasonable compromise position that was allowed to exist under the last two pontificates has evaporated. As Amoris Laetitia will have the effect of forcing out priests and seminarians who refuse to desecrate the Holy Eucharist by giving it to unrepentant adulterers, so Cor orans will be used to remove “conservative” contemplative nuns who have refused to adopt the full Vatican II programme of “renewal” of religious life. We must never forget the appeasement of LCWR by the Congregation for Religious after Pope Francis’ election. The new prefect, Cardinal Joao Braz de Aviz, effectively apologised to the world’s most notoriously heretical organisation of modernist religious, soothing feathers that had been ruffled by his predecessor’s abortive attempt at bringing them back to Catholicity. Contrast this with the ruthless suppression by that office of the Franciscan Friars and Sisters of the Immaculate at the same time, and the programme becomes obvious. This week I received another a document that included extensive quotes from a 2015 speech given by the Congregation’s Secretary, Jose Rodrigues Carballo, in which he darkly implied that traditional forms of Catholic religious life had “served their purpose” and must be allowed to die out so that something as yet undefined, but assuredly new and wonderful, could replace them. 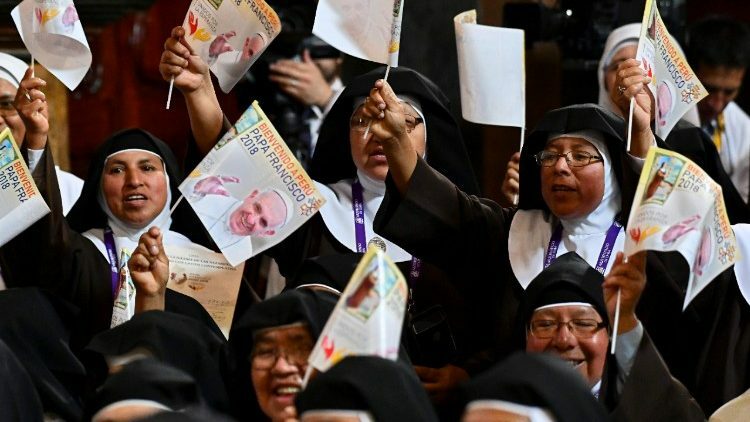 At a meeting of religious formators in April 2015 in Rome, Carballo said quite clearly that it is Vatican II that must take precedence over the classical charisms of religious life. With regard to the living of their charism, “The church asks us not only for fidelity but for creative fidelity,” he said. As is usual with Catholic progressives, he went on to spin the total collapse of religious life since Vatican II as a positive, comparing the current “chaos” in religious life with the conditions before Creation, urging those present to “think of Genesis” and to imagine “a new creation” that is coming soon. Given these hints, what Cor orans tells us is that with regard to the female contemplative life, the progressives, who expected the “chaos” of the post-conciliar upheaval they engineered to bring to birth a “new church,” are tired of waiting. With this pope they have been given a mandate to crush the remaining hold-outs and, instead of “singing,” to bluntly force “the new church into being.” Cor orans’ language, put together with Carballo’s clear messages in his various speeches, has made it unmistakable; this is a purge. And the document is equally clear about its status as a piece of legislation. It isn’t a suggestion; superiors are already reporting receiving messages from Rome, and the existing federations and associations, that they are to implement it “immediately”. It mandates membership in a federation, with that body’s president and council having unprecedented powers over finances, new foundations, formation and, crucially, decisions about the suppression of monasteries. And the religious orders themselves are already on board. A document from the same meeting, the 2015 General Chapter of the Discalced Carmelites, blamed the imminent collapse of the order on the failure of the religious to get with the Vatican II programme. “Despite the renewal required by Vatican II, our place in society has remained essentially unchanged compared to fifty years ago: we cater for the same people, we use roughly the same methods of communication, and our clerical-religious status is the very same. During these fifty years, however, society has changed dramatically at every level, economic, social, cultural, moral and religious. the consequence is that our ‘ecological niche’ has been progressively reduced,” the Chapter’s final document said. I think most faithful laypeople don’t have a very firm idea of what cloistered monastic religious life is like in our time. 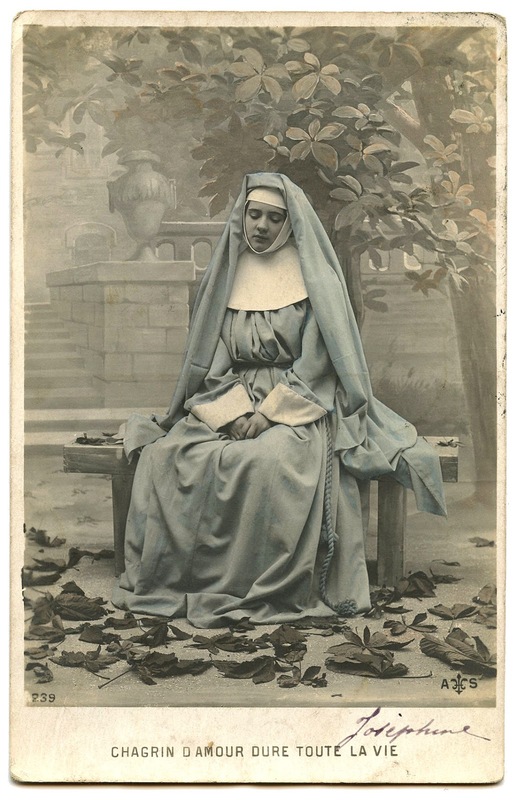 We tend to develop a romantic and rosy picture, mostly derived from hagiography, movies and photos, and assume that a cloistered nun is someone who doesn’t go out of the monastery for any reason other than medical appointments, or perhaps to vote. 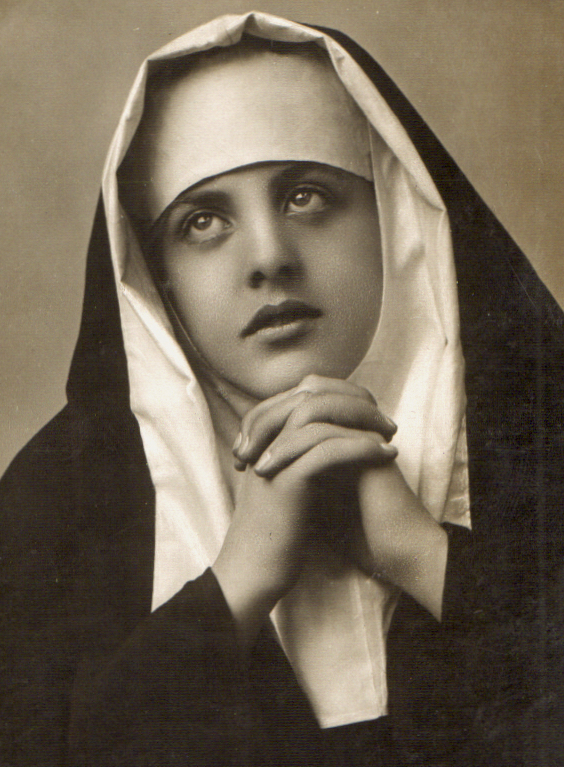 We believe this is, at least, the ideal which cloistered nuns are aiming for. Most of us assume that monastic cloister is taken seriously, that formation of nuns carries on serenely in-house, organised by the monastery’s council, approved by the abbess and guided by a mistress of novices according to the community’s constitutions, who takes loving charge of postulants after they enter. We picture classes that include reading from the writing of the foundress, Biblical studies and the theology of prayer, study of Patristics and the ancient sources. We picture silence, steady and calm labour about the house and garden and happy hours of recreation together. Above all, we think of it being separate from the outside world, a place where concentration on prayer – the communing with the Beloved Spouse – is not subject to external interference. 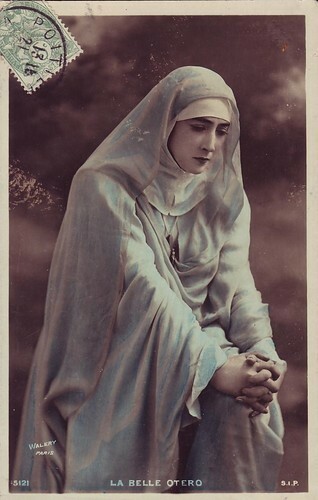 And I expect most people who love the cloistered, contemplative religious life, who consider it the highest expression of Catholic life in this world and an absolute necessity for the Church’s survival, also consider a return to this ideal as the way forward, perhaps, indeed, its only hope. But if we think that the people currently in charge of the religious life in Rome share this opinion and have the slightest interest in preserving religious life as we have known it, we are failing to grasp the current realities. The information I’ve been receiving from all around the US and Europe is that the image we have of cloistered life is almost extinct already. Perishingly few monasteries of any charism are even trying to retain it. Nearly all monastics – most of whom are governed by superiors formed in the 1970s-‘90s – have already fully internalized the foundational ideas of the Cor orans New Paradigm. Most monasteries are already governed by federations and associations, all of which expect their members to attend meetings and formation sessions outside the monastic enclosure. The mandate of Cor orans for shared “ongoing formation,” programmes – that Carballo above made clear was the means by which the New Paradigm would be imposed – have already been adopted by the majority of monasteries and cloistered convents. And the pressure on the few remaining holdouts who prefer to form their own novices and junior professed, is reportedly intense and constant. The emphasis of the federations and associations is for more and more interconnectedness – in reality, more and more centralisation and dependence on the association. Shared formation programmes, as Cor orans mandates, are prepared not by the monasteries’ own novices mistresses, but by “professionals” chosen by the association leadership. These “experts” are people with university degrees in “pastoral psychology” and the like. And this has been going on for decades. 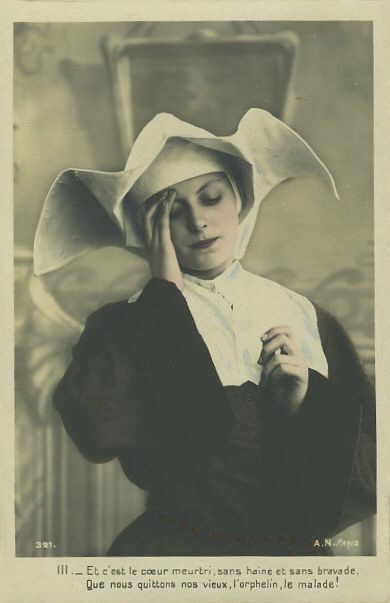 Nuns, even those who might be considered “conservative,” in full habits etc., routinely leave their monasteries, often traveling great distances to attend meetings of their Associations. Novices and juniors are expected to attend these “formation courses,” and pressure is put on a monastery that declines to participate. These courses appear to be structured like an academic conference at which the novices from many monasteries gather at a hotel conference room to hear speakers and then “break into small groups” to talk about what they’ve heard. It seems that the techniques of modern corporate management have become the working model for monastic life, with very little resistance. This article appears in the latest print edition of The Remnant Newspaper. To see what else is included in June's "Mega" issue, SUBSCRIBE. Formally, the “Congregation for Institutes of Consecrated Life and Societies of Apostolic Life” whose acronym, CICLSAL is unironically nicknamed “sickle cell,” after the blood disease, by some religious. Appointed by Benedict XVI, not Francis. It’s maybe worth noting that Carballo’s speech was reportedly three hours long. I recall visiting a Poor Clare monastery near Vancouver in the early ‘90s and discovering that they do not receive postulants directly from the world at all. A young woman showing an interest in joining was sent across the country to spend a year or two living in Madonna House, a strange lay community in the woods near Combermere Ontario. Even at the time – I was 23 – I thought this shipping off of potential candidates was bizarre and I couldn’t understand how it would help prepare someone for the specific life of a Poor Clare.